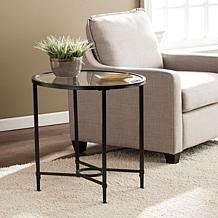 Rich and curvaceous, this espresso end table is a wonderful accent to any transitional styling. The black metal frame has legs that arch inward to create a distinct look that adds a sense of flow to your room. Gracing the top of the frame is a beautifully stained espresso top that gushes with style. 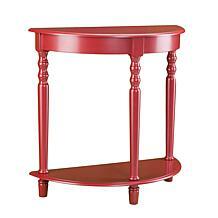 Add this end table to your home today for an instant upgrade. Well packed, easy to assemble! This is my second purchase of this table because I love the first one a lot. 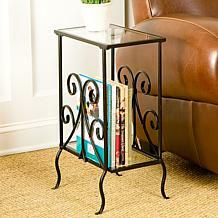 These are beautiful end tables. 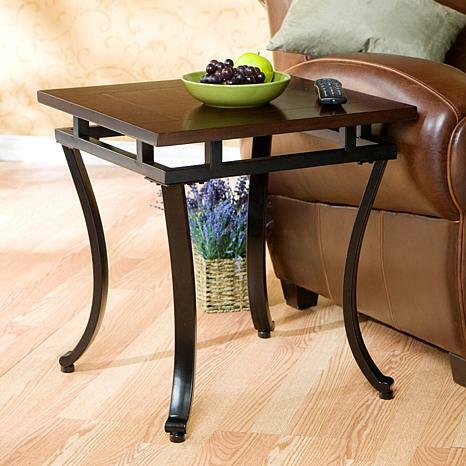 I simply LOVE these tables. 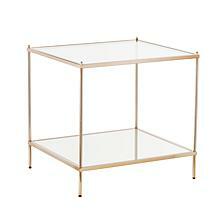 Simple to put together and adds an elegance to my living room. I purchased two for my living room. They go great with my decor. The table is very easy to assemble. It only took my husband about 30 minutes to put to of them together!